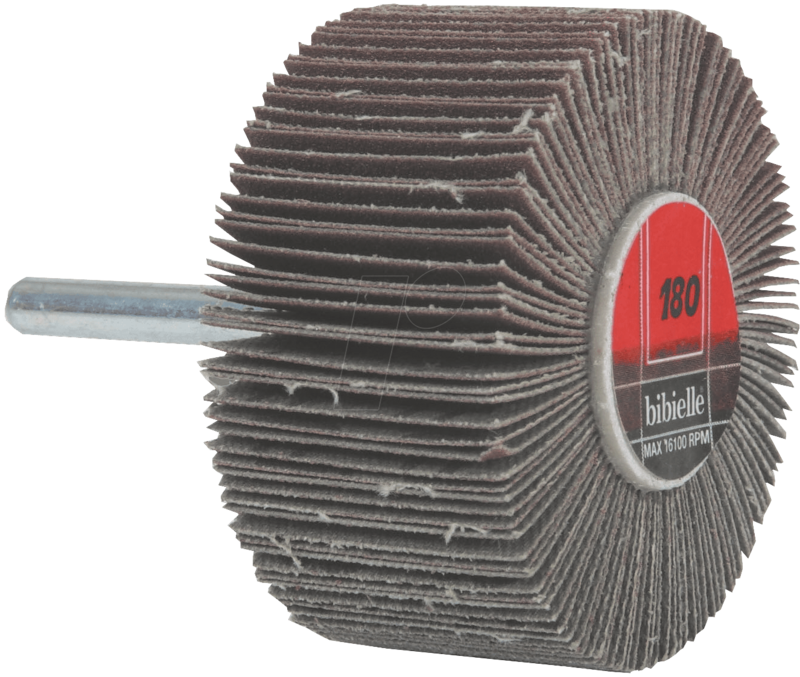 Grinding wheel from BIBIELLE for rod and shaft grinders. Wheel-shaped disc arrangement around the axis (Ø 6 mm). High-quality cotton fabric, standard corundum. Fully resin bonded. For coarse and final sanding of both small surfaces and large radii.